I started playing Saints Row: The Third again because of the Steam trading cards and I hadn’t finished it. 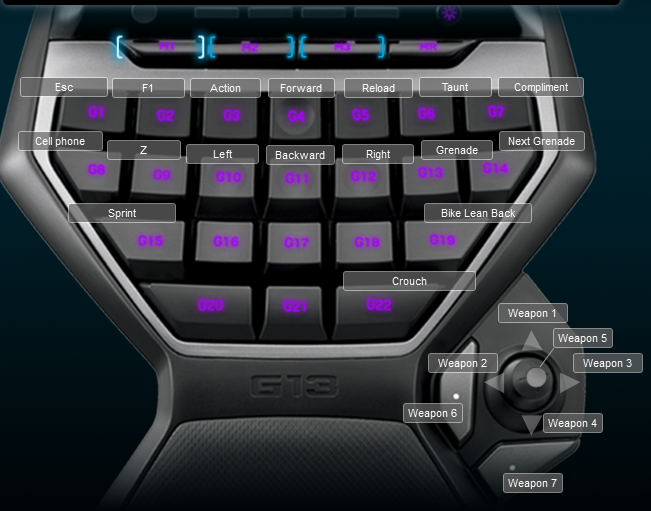 I made a simple Logitech G13 profile for the game. I think it might also work for Saints Row the Fourth, but I don’t own that game so I am not positive. Below is an image of the keyboard layout for the profile.